My name is Ilga Lotos Luk. 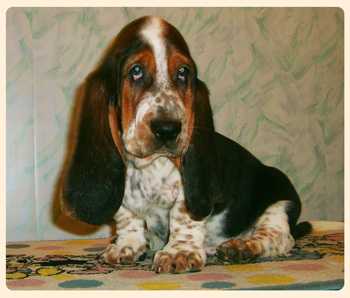 I'm basset hound, I've come from Russian oldest basset-hound kennel Ilga Lotos (Volgograd. Russia). I was bornin August, 2006, thenafter two and a half months arrivedin Rostov-on-Don (South of Russia), to Olga and Yuri Parshin. They are my beloved and only owners. 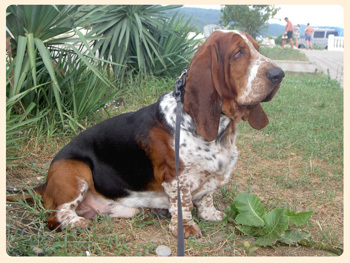 I am curious, happy and careless, as many bassets are. I enjoy walking a lot, watching TV or even entering Dog Show. I like good sleep and tasty food. I’m fond of chasing squirrels in the park and having fun playing catch-up with my friends whom I havea lot (even among cats).You will learn a lot about me here. I'll try not to disappoint you and entertain you with my tricks.